Disclaimer – we won’t be diving too deeply into the spoilers of the episode. After the seventh season ramped up the danger as the White Walkers broke through the wall, it was always going to be interesting to see how the final instalment kicked off. It took a balanced approach, instead of bombastic action the episode takes the time to focus on Winterfell as a great number of the characters all assemble there for the first time. Initially, we’re introduced to the Unsullied army marching through the gates as seen by a young Northern boy. Immediately there’s an inspiring sense of hope that the battle can be won, Westeros can be saved. 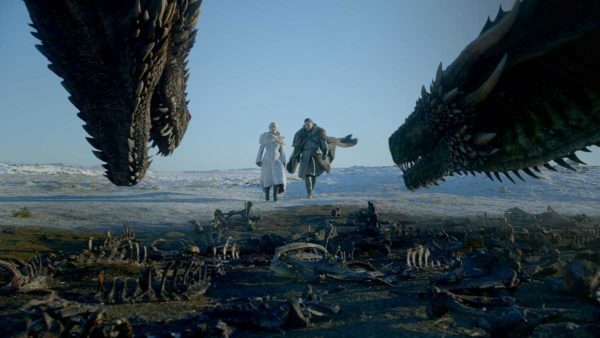 Especially when Ramin Djawadi’s uplifting score soars alongside Daenerys’ dragons flying over Winterfell, it’s nothing short of awe-inspiring. However on the other side of that, the knowledge of the nigh-unstoppable horror they face is a reminder that their huge force might not be enough. 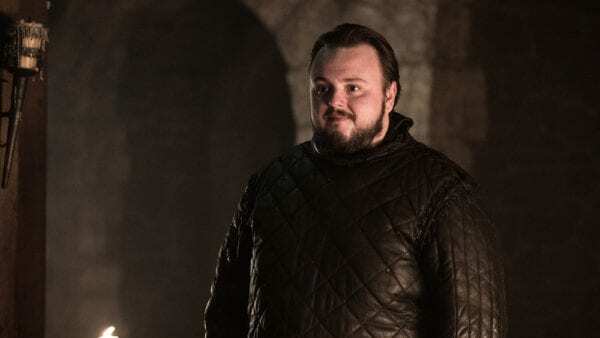 As we see Jon confront the political consequences of allying with Dany, it’s clear that the road to a united front against the White Walkers is not going to be easy – then again, where’s the fun in that? After all, the North named him their leader, not her. The message is hammered home – band together, or die. And while it isn’t till the end of the episode that terror creeps up on the North, their looming presence is felt throughout the desperation in every scene. On a happier note, after years of seeing all these characters and their stories flung far away from each other, it’s incredibly satisfying seeing them all together once again. Although in true Game of Thrones fashion, not everybody gets on with each other immediately. Sansa’s bitterly cold attitude towards pretty much everyone is obviously understandable – yet completely annoying, making it hard to rally around her. 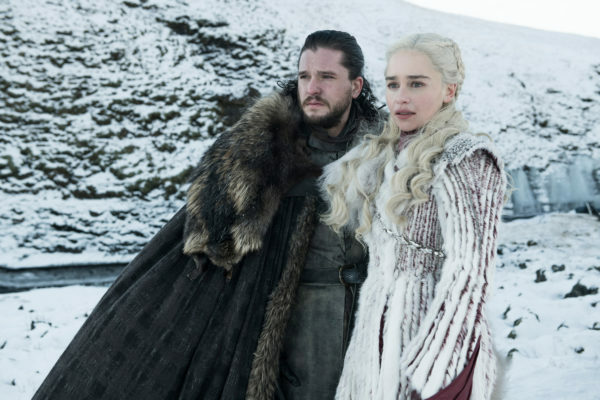 She becomes the outspoken voice against Daenerys being Queen instead of their ‘King of the North’, Jon, and it makes their reunion bittersweet. Thankfully to counterbalance her irritating scene, the moment that Arya and Jon bond after years of separation over their respective combat experience is undeniably sweet. If we get to see the pair fight side by side, it’ll be something special. Once again, the production value of the show is truly incredible. While the world, the sets and the costumes are all visually fascinating – it’s still hard not to grin when seeing the thrill of dragon riding. Although the huge mythical weapons of mass destruction had become a huge part of the shows imagery – the premiere managed to beautifully show it from a new perspective that really reminds us why they’re so incredible in the first place. 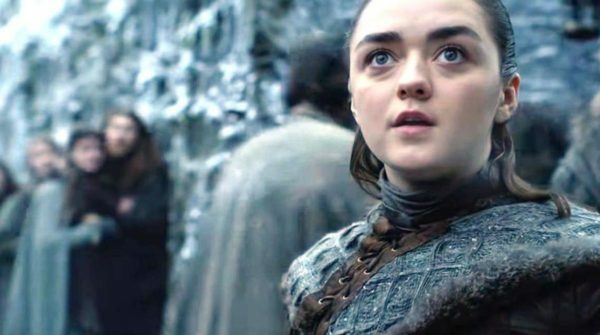 The excellent nature in Game of Thrones is that Westeros can be fascinating and enthralling at one moment and heartbreaking in another – without feeling like narrative whiplash. Luckily, there are moments of levity within the long dark night as Bronn’s signature humour injects a real sense of light just to put the audience at ease for at least some of the episode. Briefly venturing down south, Lena Headey is formidable as ever as Cersei allies herself with the Ironborn threat of Euron Greyjoy. Although she only has a fleeting appearance in the 54 minute run-time, she arguably has the best quotable line in the episode; “You want a queen, earn her”. It’s incredibly effective, and clearly does the job where Euron is concerned, as the dynamic between the Lannister Queen and the brutish Greyjoy intensifies. Her sinister machinations of the season are only just beginning, but whether she’ll ever change her intentions towards Daenerys and Jon once the White Walker threat completely crashes into Westeros, remains to be seen. The premiere episode of season eight reunites old favourite characters and teases new partnerships with others – but it very clearly feels like it’s setting the stage for the larger episodes and battles later in the season. Luckily, since fans have literally been waiting years to see some of these characters reunite onscreen, it’s satisfying in a different way than the huge battles or its vicious bite. However, while the story and character moments were a stellar return, the script throughout the episode felt incredibly clunky and crammed with exposition rather than fleshed out, genuine, conversation. For fans hoping to see more of the White Walkers, don’t worry. The episode is not without its over-arching threat thanks to a single haunting scene that culminates in a horrific moment that plays out like something from The Wicker Man meets Evil Dead. So there you have it, Game of Thrones is back on our screens and is a delightful return to form. 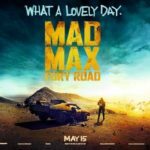 While it might not have the sharp dialogue that it once wielded with pride, it’s hard not to be excited about what’s to come.